South Pasadena City Hall is located at 1414 Mission Street, South Pasadena, CA 91030; phone: 626-403-7200. Photo: Howard and Etta Longley House, ca. 1897, 1005 Buena Vista Street, South Pasadena. Designed by the Greene Brothers. Listed on National Register of Historic Places in 1974. Photographed by user:Cbl62, 2011, (own work) [cc-by-3.0 (creativecommons.org/licenses/by/3.0)], via Wikimedia Commons, accessed August, 2015. South Pasadena prides itself on its small town character. Less than three and one-half square miles in area, South Pasadena lies between the far larger City of Pasadena, of which it was once a part, and the metropolis of Los Angeles. Small, proud and independent, the City of South Pasadena has battled for a hundred years to preserve its status as a distinct—and distinctive—community. Few cities in California are better recognized for the quality of its small-town atmosphere and rich legacy of intact late 19th and early 20th century neighborhoods and residences. South Pasadena also has a strong claim to having the oldest and most historic sites in the San Gabriel Valley. For many centuries, its adjacency to a natural fording place along the Arroyo Seco had served as a gateway to travel and commerce for aboriginal peoples here and along the coast. It was here that Hahamognas greeted Portola and the missionaries who later established the San Gabriel Mission a few miles to the west. The initial buildings on the Rancho San Pasqual, which subsequently gave birth to the Cities of Pasadena, South Pasadena and Altadena, were built here. The first of these adobe structures became headquarters for General Flores and his staff in 1847 where they agreed to surrender to American forces, ending Mexican Colonial rule in California. In 1888, South Pasadena incorporated the southern portion of the Indiana Colony and land south and eastward to the Los Angeles border, becoming the sixth municipality in Los Angeles County. With establishment of the Raymond Hotel and the Cawston Ostrich Farm, the small community was able to attract tourists and increasingly large waves of new residents to the Pasadena area in the late 19th and early 20th Centuries. With completion of the Pacific Electric Short Line, putting the entire city within easy walking distance of the "red car" stations, South Pasadena also became a one of the first suburbs of Los Angeles. It is now certainly one of the best-preserved cities, maintaining a small-town quality and humanity in the scale of its buildings, its residential streetscapes and historic commercial core. It is this legacy and the tradition-minded, small-town atmosphere that has preserved and perpetuated a quality of life that has kept so many long time residents in the community and which continues to attract new residents. It plays no small role in giving South Pasadena an excellent reputation throughout Southern California and the rest of the state as a wonderful place to live, to raise a family and come to shop or visit. The built environment of South Pasadena reflects its rich heritage. Entire neighborhoods of homes built in the Craftsman, revival or Art Deco styles of 1900-1939 have survived largely intact and are enriched with mature landscaping. A handful of homes from the Victorian era are scattered throughout the community. The historic city center and business district around Mission Street and Meridian Avenue has been listed in the National Register of Historic Places. Many of the City's historic institutional buildings, ranging from religious to civic, continue to play a vital role in town life. These buildings create the historic context within which the numerous historic resources of South Pasadena can be understood and evaluated. The preservation movement in South Pasadena began in 1970 when South Pasadena Beautiful created a sub- committee to study ways and means to promote historic preservation in the community. 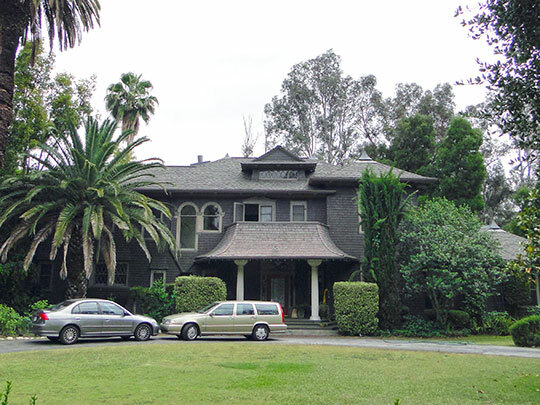 Eventually, the subcommittee became the Jean Driskel Foundation, later renamed the South Pasadena Preservation Foundation, a private non-profit organization. The City restored the 1888 Meridian Iron Works building, which now serves as a historical museum and base for the Preservation Foundation. City of South Pasadena, California, General Plan, 2002, www.ci.south-pasadena.ca.us, accessed August, 2015.